The most awaited Symbian Anna update is finally ready and available for download. Nokia started rolling out Symbian Anna update to all Symbian^3 mobiles like Nokia N8, E7, C7 and C6-01. 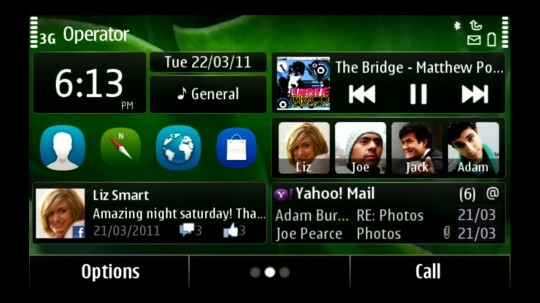 Symbian Anna aka Symbian^3 PR2 brings several new features and promises to make user experience more enjoyable. Symbian^3 received mixed response from users from it’s release, so this time Nokia is coming up with Anna update to match it with other dominating mobiles operating systems like Android, iOS etc. From now Symbian^3 will be known as Symbian Anna. Nokia X7 and E6 mobiles comes with Anna update preinstalled. So what’s new in this Symbain Anna? The first thing you will notice in Anna is the new icon set and new Nokia Pure font which replaces Nokia Sans. Symbian^3 came with a browser which was very similar to Symbian 5th edition mobile’s browser. Now Nokia is bringing updated browser with many new features and enhancements which makes it faster. Other notable changes in this update are new split screen text input, updated built in applications like Maps, Photos, Mail ,Calender, Gallery etc. There are some good news for both Nokia N8 and C7 owners. Nokia N8 gets continuous autofocus in HD video recording and 30fps video recording is now possible. This Anna update will enable NFC in Nokia C7. Symbian Anna update is already available for download via Nokia OVI suite and OTA. If you own any Symbian^3 mobiles then you should update to Anna. Are you using Symbian Anna? How is it? please share your experience with us. Nokia Announces X7 and E6,Symbian Anna Update Coming Soon – nokia x7.